On Saturday morning it looked like the J/Fest was a repeat of the Spring One Design. Light winds, lots of current (albeit flood) and postponements. Fortunately on both days, the wind eventually filled in and six races were completed in 14-20 knots of breeze, but not without drama that typically comes with any J/105 event. As it seems to always be when racing in the main bay in spring, it is always favored to be the first to one side of the course and the J/Fest was no exception. Consistently, the top boats were the ones that started at or near the pin and were able to hold their lane to get left to the relief off the city front. Visa versa on the run, big gainers were had jibing early to get left to get into the flood that was still pushing down the middle of the bay. In race one, Russian Roulette played both legs perfectly and held off Black Hawk for their first win of the season. For the second and third race, winds increased to the upper end of the range and went a little right. But the left side was still favored and Ne*Ne took both races leading wire to wire after nailing two pin end starts. At the end of day one, the top three boats were Ne*Ne with 10 points, Black Hawk with 14 points, and Jam Session with 16 points. Sunday brought lighter breeze so at the scheduled 11:30 start the “cat and the hat” flag was displayed instead of the class flag. The race committee lowered the postponement soon after, in what some competitors called an “anxious attempt” to get a race in. The 5 knots of breeze wouldn’t have been a problem except for the three knots of flood. The boats that got left and intentionally over stood looked really good a first, but they had to cross the flood into the main channel to round the weather mark. They soon realized they would need to tack again, and again and again, just to get around the weather mark. Then again, again, and again to round the offset. Some were better at this than others especially Godot who won their first race of the season. Fortunately by race two, winds picked up to the mid-teens. The race committee resorted to the U flag in an attempt to stop general recalls. A couple of boats got UFD’d (U flag penalty). Everything else would have been fine except a rather large log, no, more like a telephone pole, decided to get a closer look at the action and completely shut the door on the boats choosing to start at the pin. This stopped the sequence until the race committee was able to clear the invader and get the race off. Box of Rain won the start and went on to win their first race of the season. Some boats, including Ne*Ne (who had assumed they won the regatta) thought the sailing was done for the day and headed for the barn. But it was only 3:40 and the race committee knew they still had twenty minutes to squeak in a start before the 4:00 o’clock deadline. Ne*Ne noticed just in time that a race was going to start. They turned and motored back toward the line until the prep signal. With four minutes to go, they quickly set a kite but it looked to be too late. Luckily a puff came through and with 90 seconds to go, they jibed in a desperate attempt to exit the triangle created by the U flag flying. With just eight seconds to spare, they manage to clear the triangle do a Mexican drop around the committee boat, and line up for the start. Donkey Jack took the final race but Ne*Ne took third to win the regatta by five points. The lopsided course the last two regattas has many questioning the wisdom of racing in the main part of the bay in the spring because of the strong currents. I’m on the fence. One thing for certain, it appeared nobody wanted to win this regatta. The scores were all over place and we saw two boats win their first A series race ever (Box of Rain and Russian Roulette). That was nice to see! In fact, we had five different boats win races! It doesn’t get much better than that! Maybe racing in the main bay in spring mixes it up a little, and adds a different element? This discussion will long be forgotten as we settle in to the rest of the schedule and the more predictable sailing in the summer and on the Berkeley circle. By noon of the first day of Spring One Design, the north breeze had already wheezed its last breath, and glass covered the bay. J/105s were littered across the city front and pointed in every direction as they had been since about 10:30 in the morning. On Donkey Jack, we drifted into a tideline, and with no sails up or engine on, the boat spun a few 360s. We marveled at each turn with childlike fascination: “No way, it’s gonna happen again!” When that was no longer entertaining, we scanned the horizon for wildlife, gorged ourselves on Kettle Chips, and told tall sailing tales. Not surprisingly, the breeze strength in each successive story seemed to get stronger and stronger. The seabreeze was fashionably late to this party, of course, and the fleet milled about until the guest of honor showed up. She reluctantly arrived at around 2:30pm in the afternoon. The first to act was the St. Francis Yacht Club Race Committee, and that crack squad set up for a standard city front beat in just a few minutes. The fleet came alive. Mainsails went up, kites were flown, and line sights were taken. As soon as the cookie crumbs and chip dust was shaken off our foulies, Donkey Jack got professional and put up some canvas. It was quickly obvious to us, as with everyone else in the fleet, that the race committee was bathed in a hefty flood. Combined with a moderate breeze, getting up to the line would be difficult. Moreover, the ebb lingered in the center of the bay, or the right side of the course, so folks would be itching to take a right turn soon after the gun and get out there. As the seconds wound down to the start, it was obvious that things were going to get rowdy at the committee boat. In the interest of getting races off, the race committee sent us on a quick milk run up to the windward mark and back. Heading up the beat, we had flood until we got to the center of the bay, and with it, some ebb. Blackhawk and Godot got to the ebb first and ran away with it. As we saw flood at the start, we assumed that there would be flood at the windward mark. We deliberately overstood expecting to be pushed down to the layline. Much to our surprise, the flood never returned, and the windward mark sat in slack water. Box of Rain didn’t need a second invitation to tack inside of us. The wind carried the sound of their cackling all the way to the windward mark. In conversations that evening at the bar, we listened to speculation that the massive rains this year have disturbed conventional flood and ebb patterns. That should make for some interesting racing this year. The second race was a twice around. The breeze had come up a bit, and we were seeing 15 – 18 knots on the gauges. We put a few turns on the rig to take the edge off the breeze and formulated a similar game plan–minus the bit where we’d give the entire fleet an opportunity to tack inside of us at the windward mark. 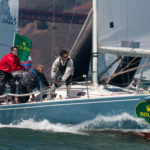 It’s a well rehearsed plan most San Francisco sailors are familiar with: head out to the ebb in the center of the bay for the upwind, hunt for flood or relief along the city front for the downwind. Advantage3 walked away with race two, stretching out a commanding lead over the fleet. Jam Session and Arrived! battled for the number two position. Donkey Jack came in fourth, a respectable finish given how competitive the fleet is. Back at the docks, the Donkey Jack and a few other boats celebrated St. Patrick’s Day with green cans of Heineken. It got cold pretty quick so we retreated to the warmth of the St. Francis Yacht Club for the usual revelry that follows day one of a J/105 regatta. That and the corned beef hash and green flecked four leaf clover cookies! The kitchen at StFYC doesn’t disappoint. If the seabreeze was fashionably late on Saturday, she was just plain mean on Sunday. The day started with a northerly that morphed into a northwesterly that eventually caved into the seabreeze. The race committee made every effort to set up a course in the ever changing breeze, dealing with deep anchorages, commercial traffic, engine problems and bad luck. As with the prior day, J/105s were on the race course from 10:30 in the morning until the start of the first and only race at 3pm. I may be exaggerating but only slightly: I believe we were jib reaching on port tack towards Alcatraz for a couple of hours, holding a position between the the Palace of Fine Arts and the St. Francis Yacht Club. The ebb kept us in the same spot for what seemed an eternity. Remarkably, before the fleet went into sequence, Yunona collided with the race committee, lodging the RC’s anchor line between her rudder and keel. Despite best efforts, the ebb tide kept Yunona plastered to the bow of the committee boat, and the two were unable to detangle. We were startled to hear the RC broadcast over channel 69, “J/105 sequence will commence in 1 minute.” The all-star race committee managed to fire a race off while hosting its own mini-flotilla. That kind of skill takes years to perfect, and I truly wonder how many cocktails it took for Yunona to rectify the gaffe. Coming into the final race one point behind first place boat Blackhawk, Donkey Jack’s objective was to maintain our position and, if the opportunity arose, improve it. The first beat handed us that opportunity. After a tricky start in a strong ebb, we managed to round third behind Ne*Ne and Advantage3. We saw Blackhawk a few boats behind us, charging through the fleet. The drama started to unfold. At the final leeward mark of the race, Advantage3 chose the wrong gate, giving us the opportunity to jump into second. At the windward mark, Ne*Ne had an override, causing a delay and forcing her to use her jib halyard to hoist the kite. This delay put Donkey Jack into first with Ne*Ne immediately behind. Advantage3 and Blackhawk were within striking distance of the podium. The first place boat always hopes that those behind will simply follow. This was not the case here, and that should not be surprising given the talent in the J/105 fleet. Advantage3 and Blackhawk went to the right side of the course, more toward the city front. Donkey Jack and Ne’Ne went the other way, headed toward the left hand side of the course. It was a tactically challenging leg, and remarkably, Blackhawk managed to launch from fourth to contend for first by staying on the favorable side of a current line. As the four boats converged on the finish, Donkey Jack edged out Blackhawk by just a few feet, both boats fully overlapped at the finish. According to sources, Advantage3 and Ne*Ne finished within a boat length of first and second. So after two laps and forty minutes of racing, the top four boats were separated by seconds. Rolf Kaiser and his Donkey Jack took top honors in the Spring One Design, beating Ryan Simmons and Blackhawk in a tie breaker. Tim Russell’s Ne*Ne completed the podium with a third place finish. 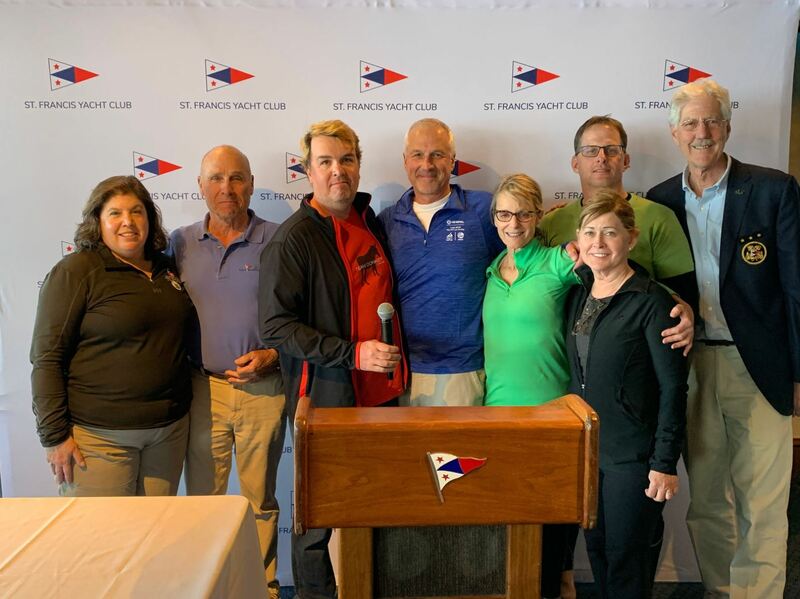 Special thanks to a heroic effort by the race committee who put on an excellent regatta in the face of several seemingly insurmountable challenges. 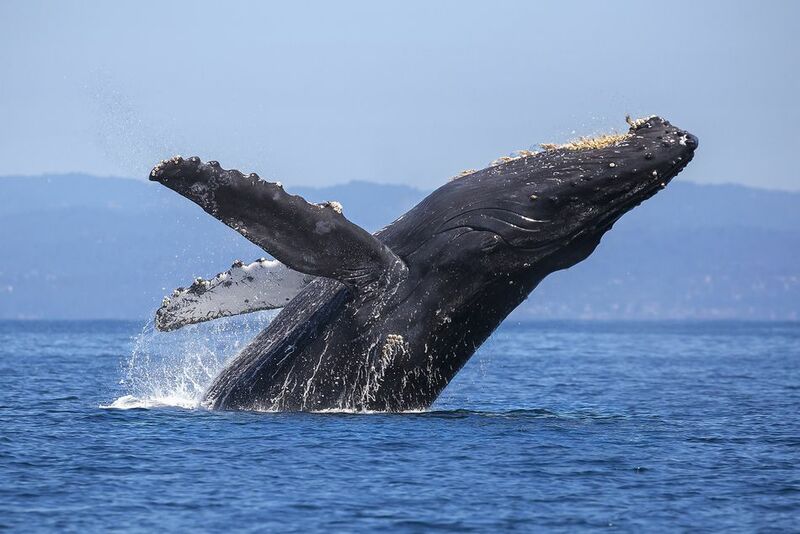 There’s all kinds of wildlife to see on the bay, and occasionally we get a whale or two inside the gate. The tourism possibilities of our playground are not just for people, I guess. 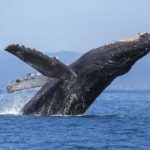 During the Three Bridge Fiasco race in late January, Jam Session, a regular Fleet One boat, hit one of the finned visitors, ending their race day and presumably, annoying the whale. Jam Session’s skipper Ahab Spiegel was not quoted in the piece, but was heard later in the bar explaining his plan to chase the whale round the Cape and round the Horn and round Perdition’s flames. He is going to have to wait until Jam Session’s rudder bearings get fixed, though. Barnacles sure make a mess of your bottom paint. 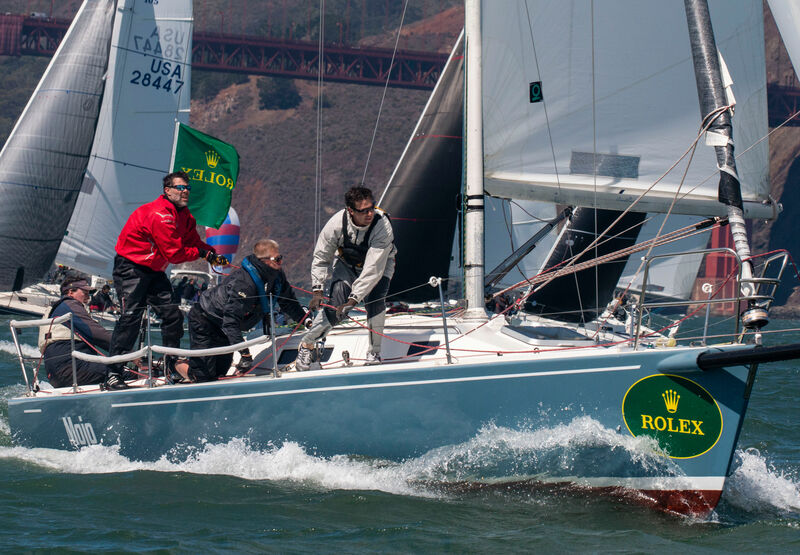 Mojo Wins Rolex Big Boat Series 2018! 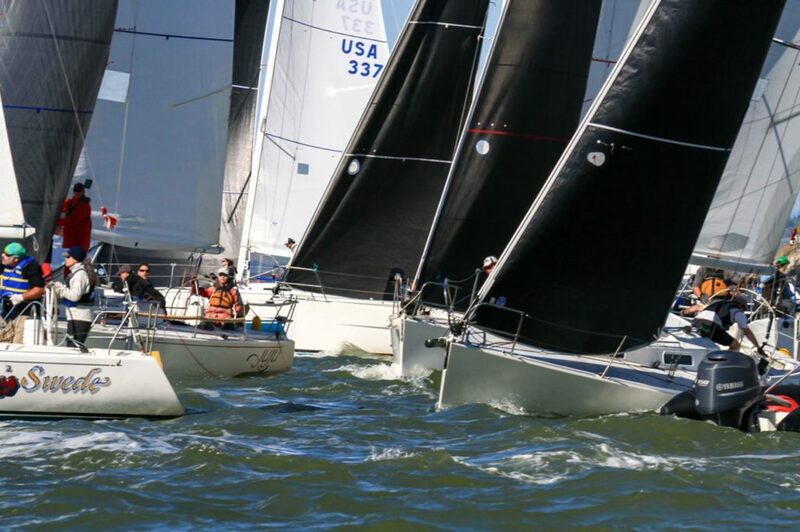 The 2018 Phyllis Kleinman Swiftsure got off to a slow postponed start as the start for Class A in Race 1 manifested a massive starboard end advantage requiring a total reset of the starting line delaying all other classes one hour. Uncharacteristically, modified windward leewards were sailed throughout the weekend by the J/105 fleet. This made for exciting short track final beats in a number of races with close finishes; too close for some. With dying ebb outside under the gate and late ebb turning to early flood on the city front, the pack could reliably be found on the middle/right side of the course all weekend in all but the final race of day 1. There was no shortage of love for the boat start as a result where the game was to get on port as soon as possible. Adding to the fun were starboard windward mark roundings on Saturday which made for button hook turns and port boats with kites setting directly into the starboard layline train. Wind ranged from 10-20+ knots with strong breeze down by the start and middle section of the beat dying to low teens and sometimes lower on the approach to the weather mark at Blackaller. A persistent pressure line just above the windward layline with a dead zone just beneath made lane management critical as crews decided whether they were just far enough over-stood to stay in the max pressure all the way into the weather mark. Large gains were made by those who called thin laylines and sailed less distance leading back to the left at the top. The play downwind seemingly all weekend was to get out into the pressure under the gate and ride it downwind. In all but the last race the outside paid dividends. Day 1 left Ne*Ne in first by three. Blackhawk trailed by two and Arbitrage and Akula were tied three back with delta to the pack. Sunday brought initially lighter conditions to start but the breeze quickly ramped up seeing a gust as high as 25 knots in the first wave of the build. Port windward mark roundings made the top marks more orderly but changed little of the strategy downwind other than making a quick gybe the move. Maverick was the star of the day on Sunday crushing both starts at the port end and getting launched early. The top group was much more dispersed throughout the fleet on day two resulting in hyper fluid standings. The breeze was slightly left of that on Saturday giving the pin end greater leverage if you could flip over to port quickly. Humbled for much of race one on Sunday, Arbitrage found good water and elusive pressure on the final run of the race to scrape back some much needed places going into the gate. Just shy of the finish, Blackhawk let Arbitrage duck on port and they were able to nip Blackhawk at the finish line which would prove costly in the end. Going into the final race Ne*Ne was comfortably ahead on points but was boxed out at the unfavored boat end and found themselves deep in the fleet which proved costly to their final race result but clawed back just enough to tie with Blackhawk who took a bullet to cap the weekend. Resilience and an ability to, if necessary, come back from deep in the fleet proved the winning edge for Ne*Ne. They were able to dig back just enough in the final race to stymy the rally by Blackhawk and Maverick. Uncharacteristically no bay tour races were sailed leaving the long distance fun for next month.mIn the end, Ne*Ne and Blackhawk tied for the win with 16pts with Ne*Ne edging Blackhawk on firsts in the tie breaker. Arbitrage came third with 19pts with Maverick hot on their heels with 20pts one point back after a stellar Sunday 1-2. A thrilling end to the last tune up event before the ~30 entrant J/105 fleet takes the line at next months’ Big Boat Series. 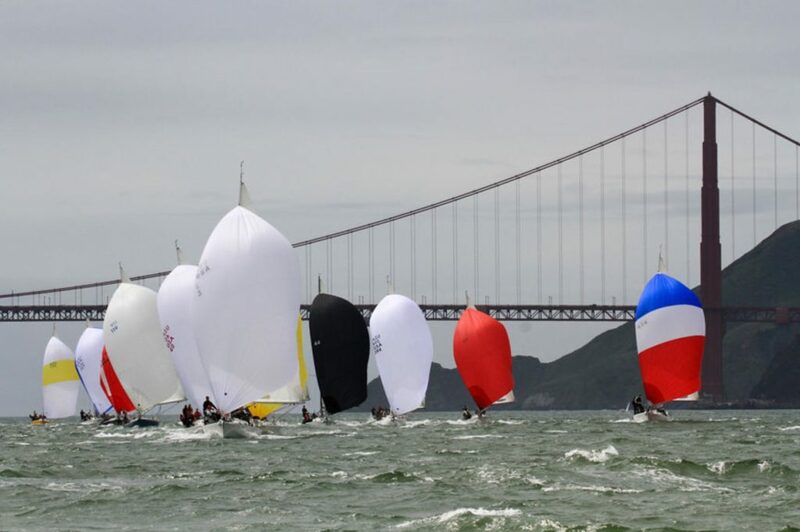 The Sausalito One Design Invitational proved to be one of the tightest and most competitive regattas of the season. 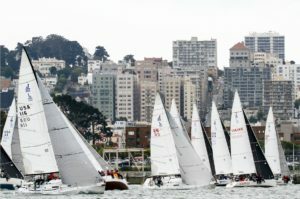 24 boats raced in fabulous conditions off the west face of Alcatraz in 12-24 knots of breeze throughout of the weekend. The current was dying ebb into a building flood, putting a huge premium on nailing the starboard lay line for the weather mark. The 6 race weekend had 5 race winners, Z-flag penalties and a redress hearing effecting the final score sheet. All mark rounding’s were extremely tight, sometimes 5+ boats deep to get around the marks. Going into the final race 4 boats had a chance to win the regatta: Blackhawk, Ne Ne, Arbitrage and Jam Session. Unfortunately there was a collision at the start and Blackhawk was forced to retire from the race immediately. Blackhawk was lining up to start at the boat, as the North side of the course had been paying all day. The pack of boats below luffed one final time before starting the final approach for the line, and unfortunately one of the boats was caught back winded and tacked onto port. They were unable to correct their course and were forced down into Blackhawk, which due to the proximity to the committee boat, were unable to avoid the collision. Upon reflection and discussion once everyone was safely back on land, a few lessons were learned. The main error the back winded boat made at the start was cleating the jib too soon, during maneuvers. When the boat luffed with the jib sheeted in and cleated, it was a very narrow window to hold their position without the jib back winding and forcing the bow down hard to the right. Had the sheet not been cleated the boat would have been able to hold their position head to wind until the leeward boat cleared and they could have sheeted in to accelerate. It is a humbling reminder how powerful the sails are and how quickly the rudder can become useless, the sails drive the boat. 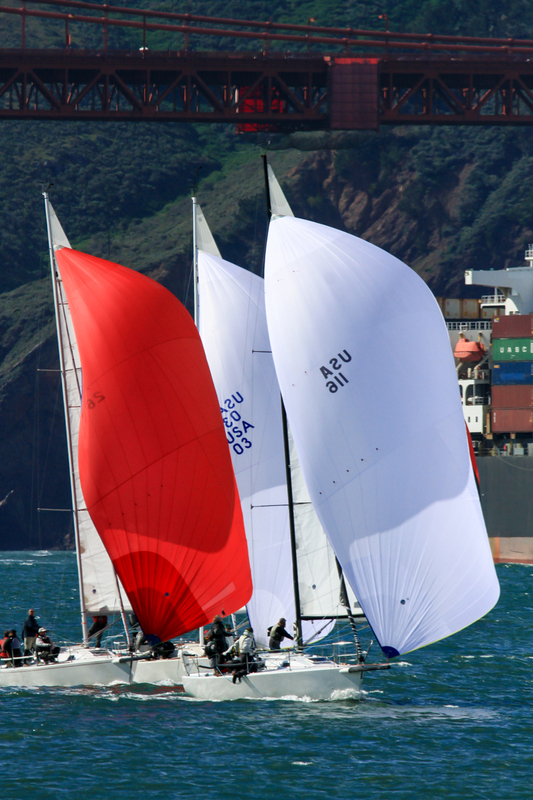 With 24 boats on a tight start line, there is no escape should someone suddenly tack onto port in the middle of the line, especially in the final 20 seconds. The same situation can present itself at the weather mark when trying to shoot. If the skipper turns a little bit too far, or a wave pushes the bow a bit further than anticipated, the shooting boat can find themselves on port tack, facing a line of starboard tack boats with no escape. Once the redress hearing was completed, Blackhawk was awarded average points in the final race, 3.8, for a total of 22.8 points and emerged victorious with a 1.2 point victory over Ne Ne (24). Tied for 3rd was Arbitrage and Jam Session with 27 points, with the tie breaker going to Arbitrage with a bullet in race 2. Jam Session won race 1, and took second in race 2 and 6, but was issued a Z-flag penalty in race 1, giving the tie breaker to Arbitrage. Maverick rounded out the top 5 with a total of 36 points, one better than Godot. Motoring to the race course you could tell it was going to be a windy day, as the forecast predicted. At first it looked like racing would be postponed, because by 11 o’clock, the race committee was nowhere to be seen. But shortly thereafter, they arrived in force and quickly set up the course in time for our 12 o’clock start. Twenty-three boats started the first race, but only seventeen boats finished race three (more on that later). A 7 degree righty on the first leg favored the boats that started at the committee boat and went right early. The boats that started at the pin were left to find a hole in the long parade of starboard tack boats that were on the lay line. 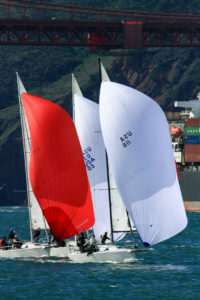 The perfect sailing conditions in race one were replaced with increasing wind and chop in the subsequent two races. Several boats reported seeing gusts over 25 knots. Going right continued to be favored all day and the boats that started at the committee boat consistently came out on top at the weather mark. The more challenging conditions put a premium on boat handling and the upwind mode had to change to more twist in the sails to power through the lump. The conditions caused six boats to drop out for equipment failure and, of course, the sailmakers were pleased because several kites where ripped or torn to pieces. The kites hung to dry with disgrace from the masts of the boats at the guest dock. And stories of how sheets weren’t blown or released in time were heard at the bar. When the results were posted, they showed Akula in first, 2 points ahead of Ne*Ne who was 2 points ahead of Godot. Sunday’s weather was more civilized and was a welcome change from the day before. Going right was still favored and even though the pin was favored, most boats chose to start at the boat. This caused congestion at that end of the line and a general recall was hailed. (It wouldn’t be a J/105 regatta without at least one general recall.) Going into the restart of race four, the committee chose to be kind and just go with the standard P flag instead of a more punitive option. This was the bright side for Ne*Ne, Arbitrage, and Box of Rain, who were called over early. It also made things very interesting because Maverick won the race and Blackhawk came in second, creating a two way tie for first with Maverick and Godot with 17 points and Ne*Ne, Blackhawk and Akula tied for third with 18 points. It was anyone’s regatta going into the fifth and final race. Ne*Ne took race five, winning the regatta with 19 points, Maverick in second with 20, and Blackhawk took third with 22. For the second straight regatta, there were several boats separated by a few points going into the final race. The racing couldn’t get much tighter. It has been some of the best racing in years and it’s a perfect lead up for our final two regattas! 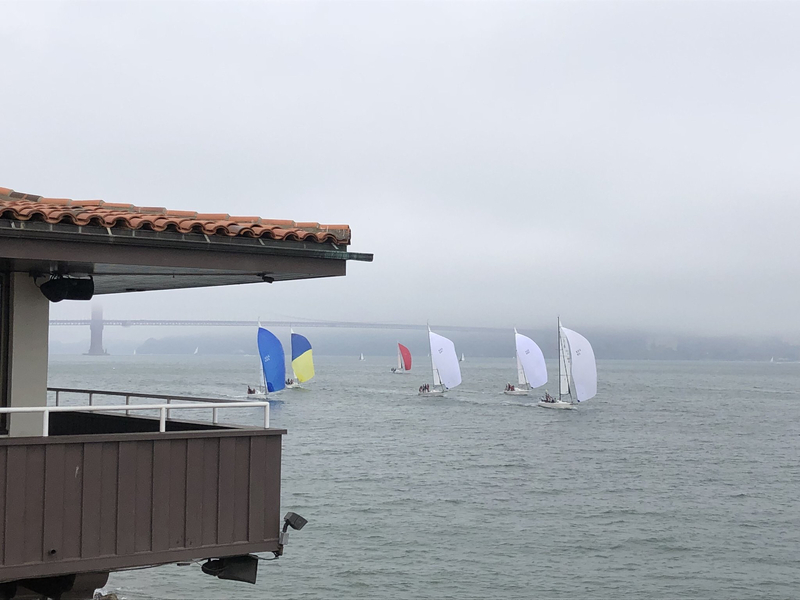 The 2018 J/Stop, hosted May 5-6 by St. Francis YC, was marked by blustery west winds from the mid-teens to upper 20s, and an early flood tide cycle, which combined with city front course position to make most races become a rumble to get right off the line. Only once did the RC cant the pin end enough to entice Arbitrage and Mojo to port-tack the fleet with success. Race wins went to Blackhawk (two), Ne*Ne (two), Donkey Jack, Alchemy, and Arbitrage (one each). Blackhawk took the overall handily, and Maverick was runner-up with consistent top 5 finishes both days. View regatta results HERE and see Chris Ray’s photos HERE. 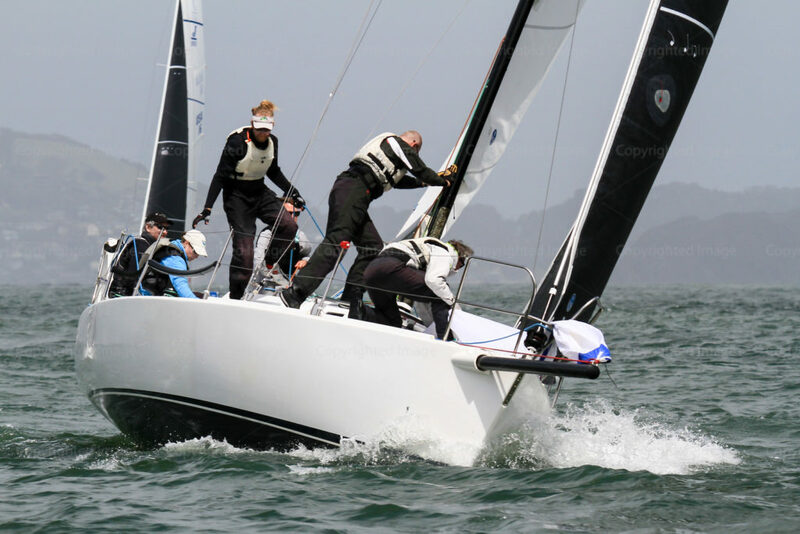 In the 2018 Elite Keel, hosted May 19-20 by San Francisco YC, we saw some top boats ejected from the top five by strong showings from Akula, Jam Session, Juju, and Advantage3 (finishing 2nd through 5th respectively). The circle had wind reports in the 30’s on Saturday and oddly moderate conditions Sunday. Sweet, sweet victory came at last to Ne*Ne, Tim Russell and team’s first of this maiden season with the new ride. View regatta results HERE. 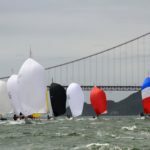 Bringing us up to date with all the action, a smaller showing of boats ventured to the circle once again for the 2018 San Francisco YC June Invitational, June 16-17, and was treated to another Saturday blast. Enough breakdowns and knockdowns inspired the RC to call it quits after one race. “That’s right, Ice..man, I am dangerous,” so said Maverick: Ian Charles and team posted a 3-3-1 to take the weekend’s overall prize. Akula sailed a great regatta to take 2nd again. View regatta results HERE. 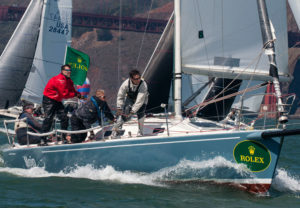 In each race, around 20 of the 27 teams tried to start at the signal boat, tack to port and foot out to the late ebb in the middle of SF Bay. Those who were pinned off the line on starboard, going southerly toward the shore into more flood, even for just 1 minute quickly found themselves a quarter mile behind any who escaped to the North into the westerly river, swollen by recent heavy rains. Those in the river found themselves sliding sideways, at several knots, upwind toward starboard lay-line, accomplishing impressive VMG up to 9.5 knots due to both the favorable tide and the enhanced apparent wind. Despite being in some second or third row starts, Arbitrage and others were still able to tack around the signal boat, and go bow down on port, reaching out to the river and catching up to anyone in the peloton sailing their boats normally upwind on a beat. Nevertheless, there are always exceptions to the rule and in one start, Arbitrage spotted a left shift before the gun and boogied down to the tidally-unfavored pin end, starting on port and crossing the entire fleet, then footing back out to the ebb. 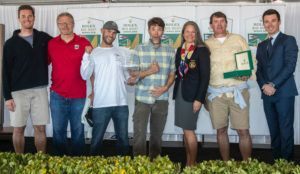 The regatta was initially dominated by new owner Tim Russell and the talented team on Ne*Ne who scored two bullets and two 5ths, leading Arbitrage by 3 points going into the last race. However, just before arriving at the three boat length circle around the last leeward mark, Ne*Ne luffed Arbitrage sharply and caused a collision. After untangling themselves, both boats passed several others on the remaining two legs, with Ne*Ne finishing that race in 2nd and Arbitrage 3rd while securing #1 and #2 respectively in the regatta. However, after a long evening in the protest room, Ne*Ne was DSQ’d and Arbitrage moved up to the top spot on the podium. Ryan Simmons on Blackhawk took second, Phillip Laby on Godot third, and Ian Charles on Maverick fourth. 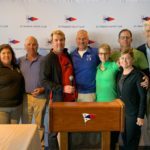 Some terrific photos and drone videos of mark-roundings in heavy tide are at www.crayivp.com in the 2018 StFYC Regattas folder, J-Fest 18 gallery. 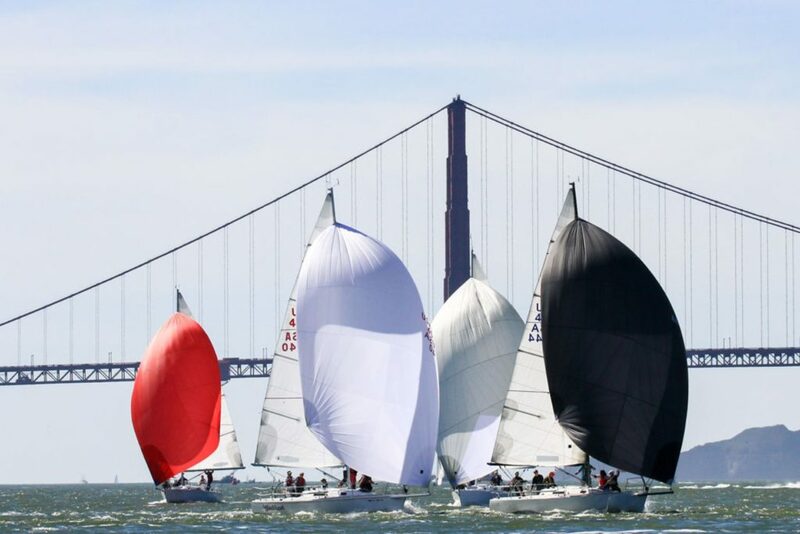 The San Francisco J/105 Fleet is alive and growing with 20 teams on the starting line for each mid-winter race and 25 boats competing this weekend in the St. Francis Yacht Club’s Spring One Design, its opening fleet racing regatta of the 2018 season. 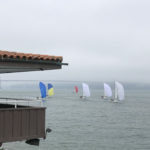 This was an uncharacteristically light wind regatta due to little gradient as the Central Valley has not yet heated up. 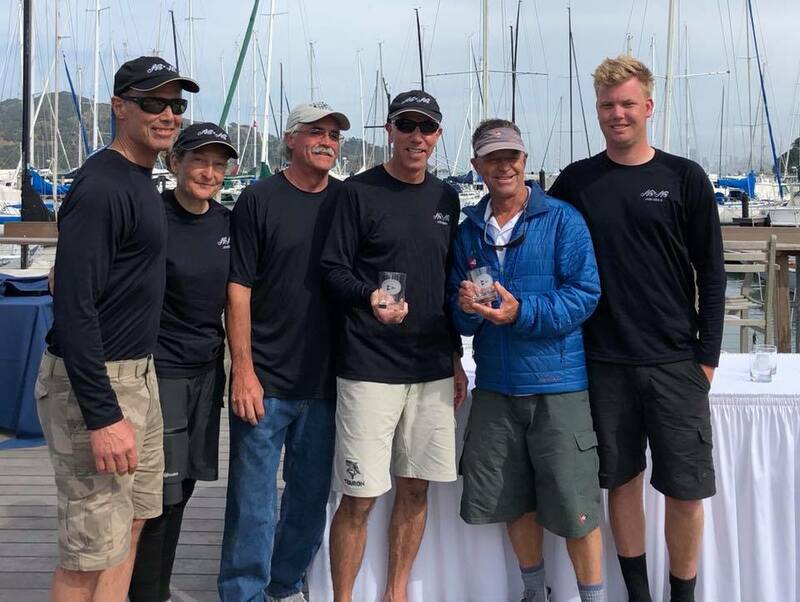 Despite the resultant light winds and building tides, the race committee managed to pull off three races on Saturday and one on Sunday. The fleet welcomed returning owners Tim Russell and Ian Charles, both highly experienced skippers who had sold their J/105s a few years ago while attending to growing families. 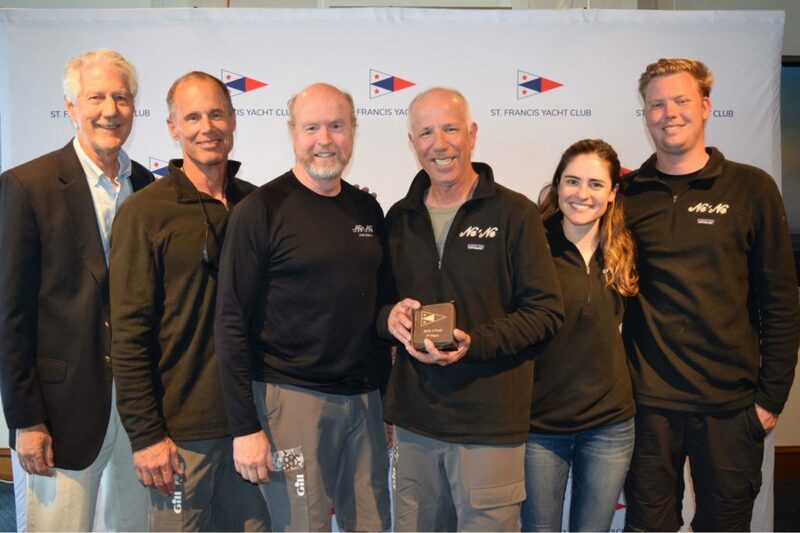 In the past few months each of them bought a well-prepared used J/105, shipped them to San Francisco, and jumped right into the front row for each race. Nevertheless, Bruce Stone and Nicole Breault on Arbitrage #116 turned in a consistent score line of 4,2, 3, 3 to win convincingly with a total of 12 points, followed by Tim on Ne*Ne #3 with 20 points and Ian on Maverick #385 with 22 points, with Shannon Ryan and Rolf Kaiser on Donkey Jack #26 in fourth with 27 points. Photo: Arbitrage #116 leading Donkey Jack #26 and Ne*Ne #3 downwind with the Golden Gate Bridge in the background.